In today’s post we will be discussing how to install Radeon Pro (You need to have an AMD Card). 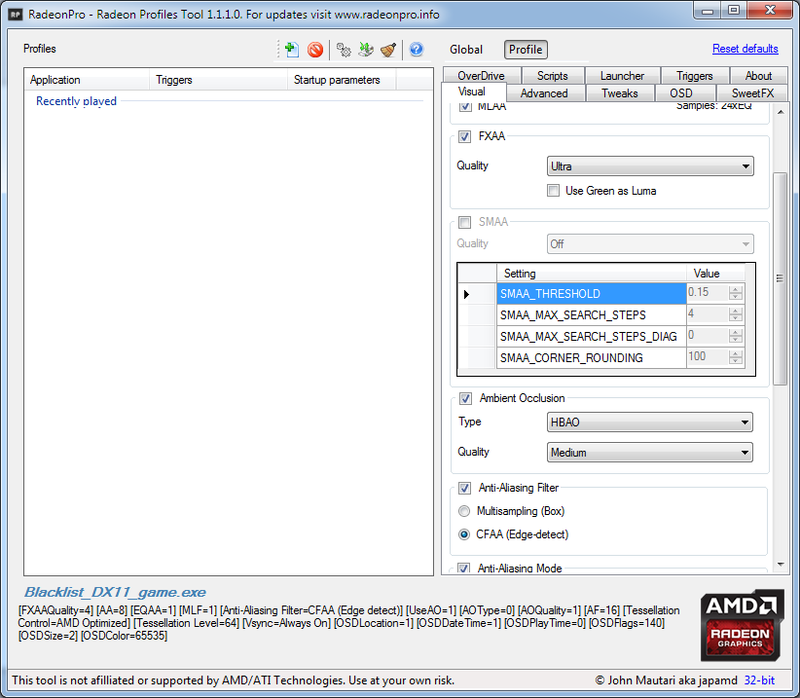 Don’t feel upset if you have an Nvidia Card because there are programs for your GPU as well! For those who don’t know what Radeon Pro is, it’s a program created solely for AMD Graphics card. In it, it gives us several options to choose from, from customizing your application settings, loading scripts, adding SweetFX to any game, Tweaks, OSD (On Screed Display), and more! Below, we will discuss on how to install this program and import my settings to your program. As always, this program is free to use and install. The download link is below this tutorial. Enjoy! Choose your Splinter Cell Blacklist .exe or shortcut. 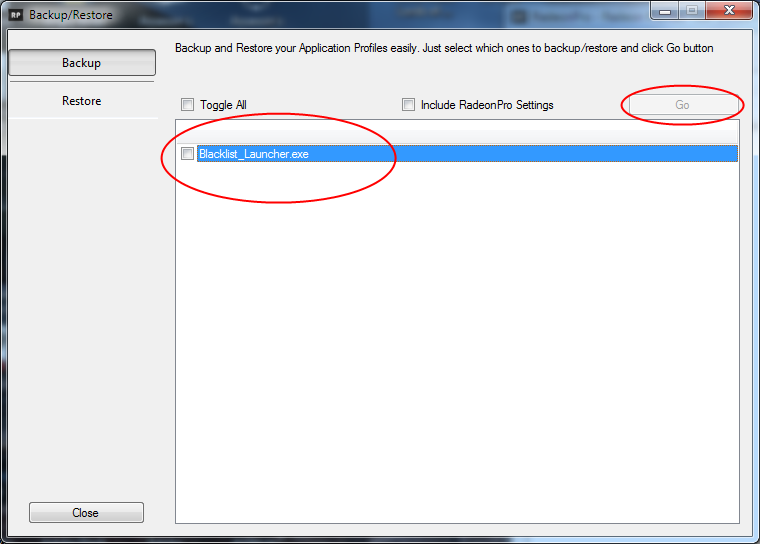 If you installed this correctly, then you should see that the settings have been changed to the same settings I used! Enjoy!